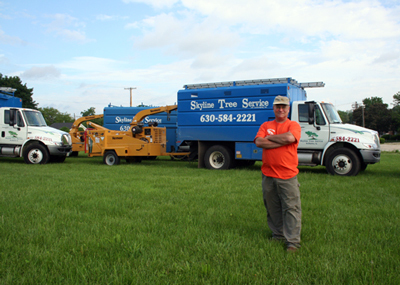 Skyline Tree Service, Inc. is committed to providing a quality of land care that is second to none. We have built our reputation by providing this standard of excellence to all of our customers; no matter how large or small their land care needs may be. Through the use of consultation and training provided to the customer at No Charge by one of our highly trained, tree care specialists, arborists, we are educating our customers so they understand the importance of hiring a professional that will not settle for less than the best. We work hard; not to obtain one time customers, but to add you to our reputable list of long time repeat customers.